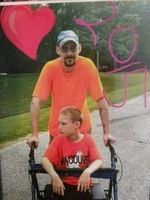 Provide comfort for the family of Michael Jacobs with a meaningful gesture of sympathy. 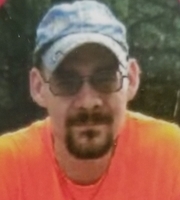 Michael Ray Jacobs 34, of Kirksville Missouri passed away unexpectedly on March 7, 2019. He was born on December 14, 1984 at Grim Smith Hospital the son of Damon and Trudy Jacobs. Michael is survived by his parents, Damon and Trudy Jacobs of Kirksville, Missouri; one sister, Kristie Jacobs of Kirksville, Missouri; one nephew, Joshua Jacobs of Kirksville, Missouri; grandparents, Ronnie and Wava McHenry of La Plata, Missouri, Gloria Jacobs of Kirksville, Missouri; great grandmother, Hazel Lene of Kirksville, Missouri; several aunts, uncles and cousins. He is preceded in death by his great grandparents, Levi and Ruby Hayes; great grandpa Paul Lene and grandparents Cleo and Letha McHenry. Mikey grew up in and graduated from the LaPlata High School the class of 2003. He loved spending time with his nephew Joshua, his dogs Duke and Thor along with his family. He was a guy with a big heart who loved to help others. 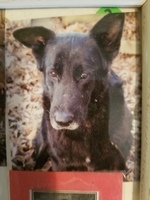 He enjoyed working at the Nursing homes and the residents all loved him. He had many friends and enjoyed spending time with them. Mikey also enjoyed the outdoors, hunting, fishing and especially camping. Mikey’s wishes were for cremation. A memorial service is planned for 2:00 pm March 31, 2019 at the LaPlata Presbyterian Church in LaPlata, Missouri. Cremation and services provided by A Simplified Funeral Solution in Green Castle, Missouri. Condolences may be left at www.asimplifiedfuneralsolution.com and memorials are suggested to the family. To send flowers in memory of Michael Ray Jacobs, please visit our Heartfelt Sympathies Store. 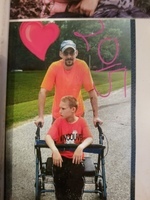 Provide comfort for the family of Michael Ray Jacobs by sending flowers.